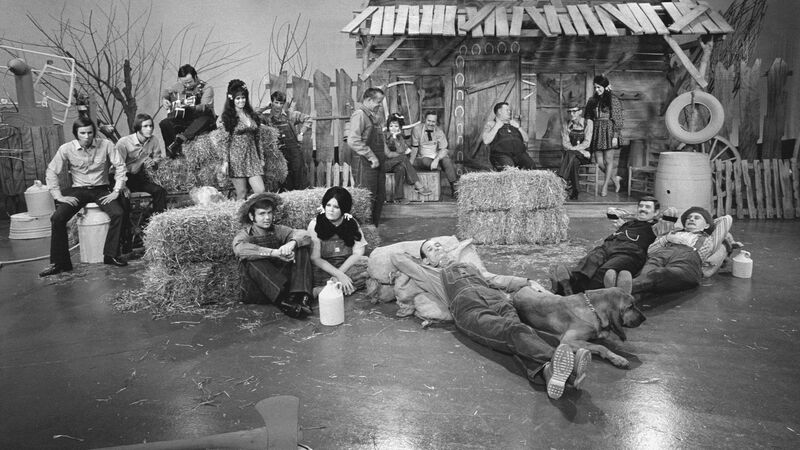 Here's where to watch every episode of Hee Haw season 4. Mouseover or tap an episode to see where to stream it. Click or tap the play icon to stream it on the best available service. Dizzy Dean,Ray Stevens Sep 16, 1972 Roy Clark and the whole Hee Haw gang - "The Lawrence Welk - Hee Haw Counter-Revolution Polka" Ray Stevens - "Turn Your Radio On" Buck Owens and the Buckaroos - "Arms Full of Empty" Arlene Harden - "A Special Day" The Hagers - "I'm Just Country Boy" Roy Clark - unknown song (banjo) Dizzy Dean - "Wabash Cannonball" Buck Owens and the Buckaroos - "Under Your Spell Again" Roy Clark - "Four Walls" Ray Stevens - "Along Came Jones" Buck Owens and the Buckaroos - "You Ain't Gonna Have Old Buck To Kick Around No More"
Tommy Cash, Donna Fargo, Charlie Rich,Tennessee Ernie Ford Feb 24, 1973 Donna Fargo - "Funny Face" and "Superman." Tommy Cash - "That Certain One." Tennessee Ernie Ford, Grandpa Jones, Stringbean and Roy Clark - "I'll Fly Away." Charlie Rich - "I Take It On Home." Roy Clark - "Come Live with Me." The Hagers - "I Believe in Music." Buck Owens - "I'm Walking the Dog" and "Cottonfields."